The mighty Cruise Craft 663 Rover hardtop cruiser with re-powered Mercruiser 220hp stern-drive in 2012. 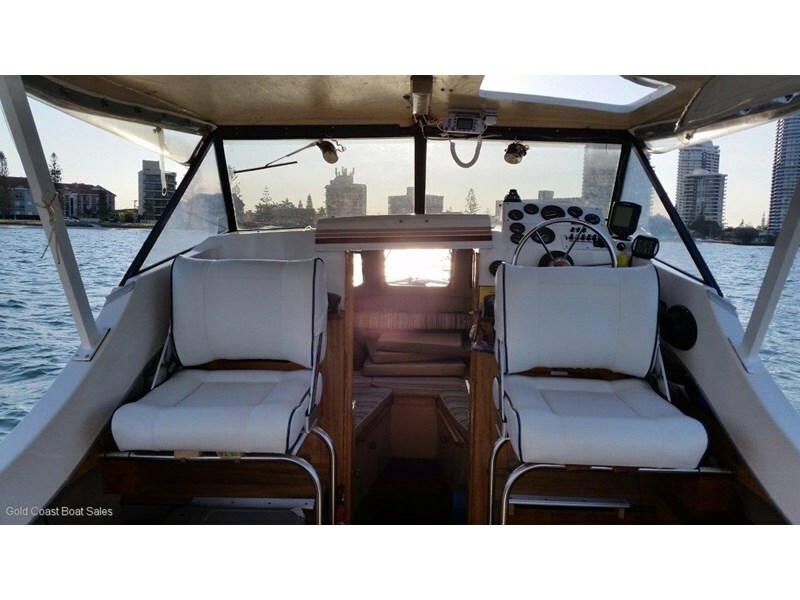 These are a highly sort after boat with proven offshore and coastal cruising capabilities. This one has been custom fitted to allow a couple of extra overnighters with a double berth forward and a couple of pull up singles in the cockpit. The sun-cover onboard is extensive with an extended rear awning to the cockpit and swim platform areas. 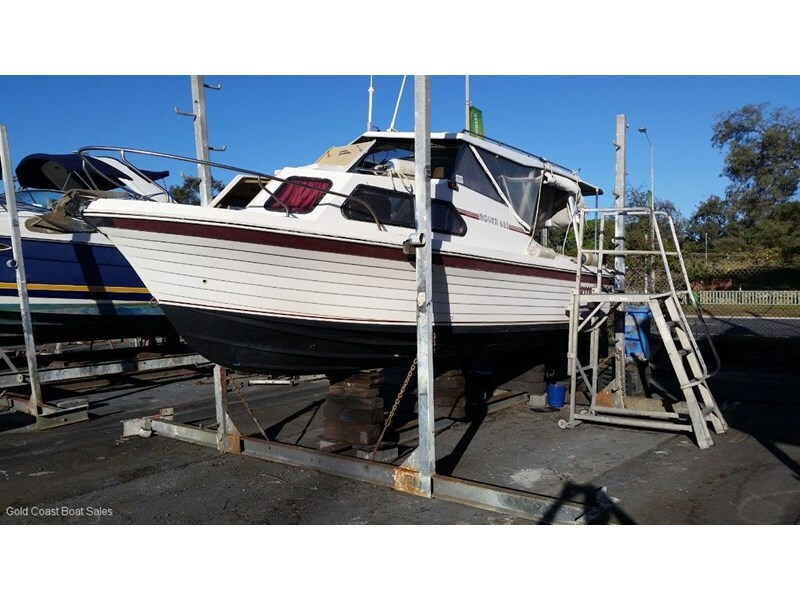 This is a fantastic cruiser with plenty of extras fitted, make an appointment to inspect to day! ** NOW REDUCED to $54,995 tow away !!! 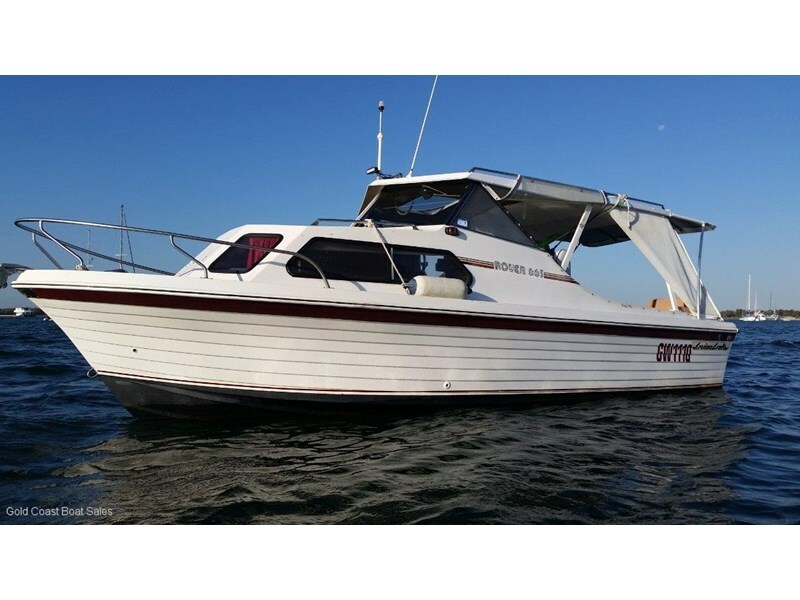 ** Cruise Craft 625 Outsider (2003) Fibreglass half cabin Mercury 150Hp Opti DFI 2S 361 hours (2002) Redco Sportsman RE190TMO braked (05.2016) Some boats need little introduction as is the case here with this iconic Cruise Craft 625 Outsider. 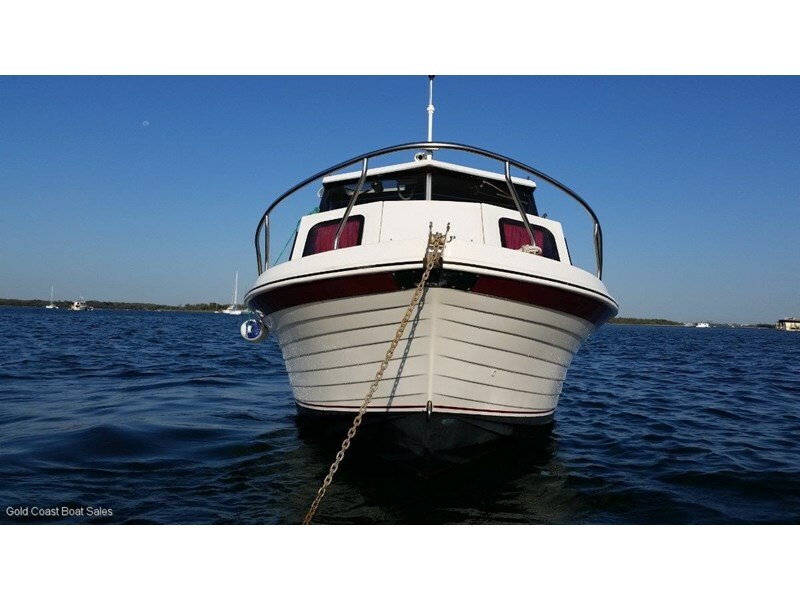 This boat has been in the one family since new in 2003 and lovingly maintained and cared for. Stored undercover in a purpose built shed when not in use and well serviced. 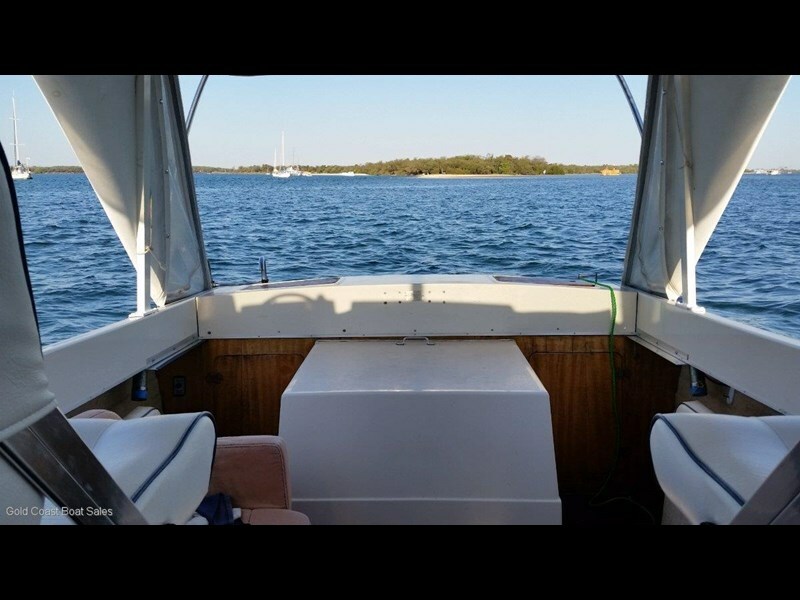 First Impressions As the photos depict, this rig would be hard to fault and at the now reduced price of $54,995 offers extremely good value considering the trailer presents in near new condition being upgraded and purchased new 2016. 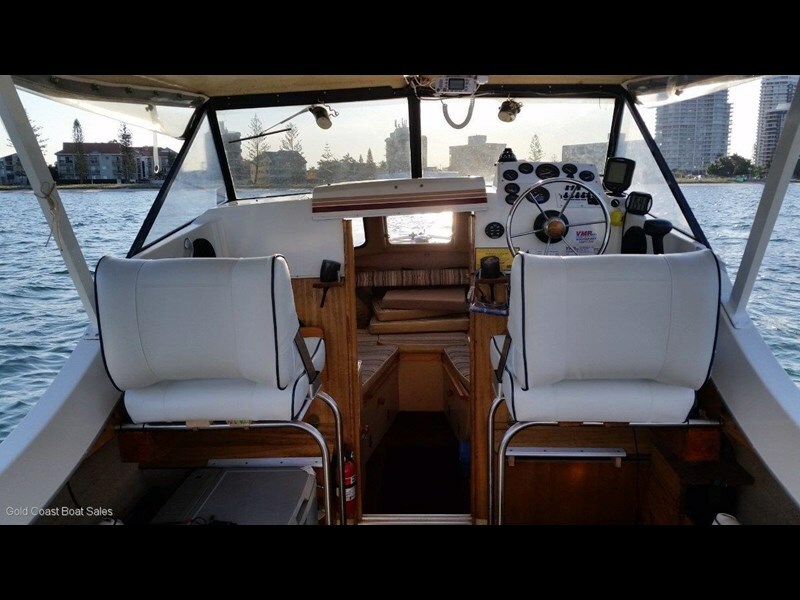 The Outsider is a boat that can be an offshore Bluewater fishing rig capable of getting you safely out wide to chase the Pearlies and Wahoo yet be as equally at home, on anchor in Horseshoe Bay being an ultimate family boat for those lazy Sundays. On the Water For the angler, fittings and features like dual batteries, walk around cabin, quality fiberglass bait prep table, VHF radio, salt water deck wash, large recirculating live well, big 195l fuel tank, Lowrance HDS 5X sounder and Navman GPS are just a few of the features you will love to use. 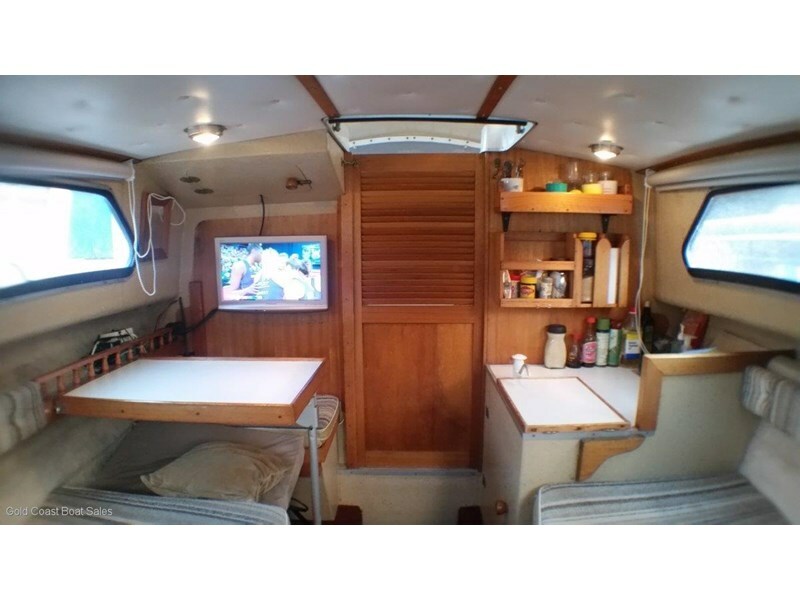 The family well look at the covers camping covers for the odd overnighter, chemical toilet, freshwater transom shower, large boarding platform for setting up the snorkel gear and reentry boarding ladder are a few family features to make the day comfortable. 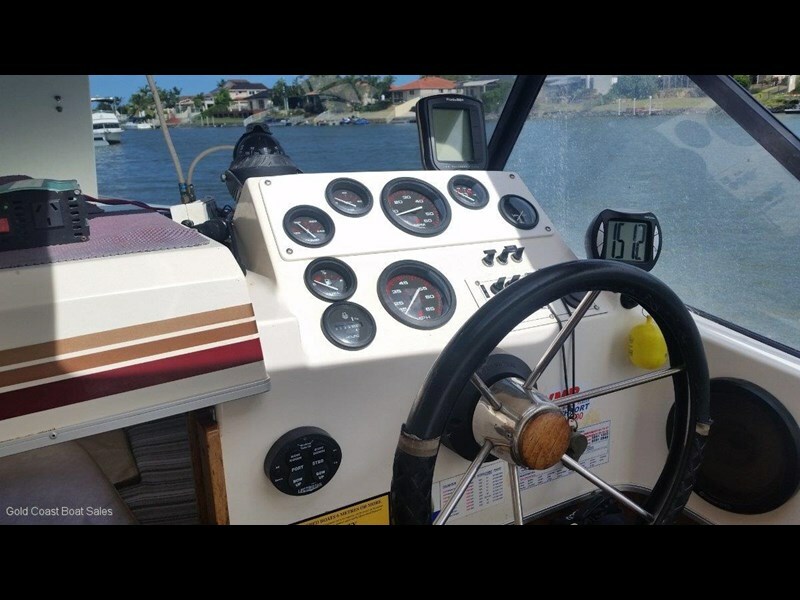 For the Skipper The helm is beautifully designed and laid out with everything you need at arm's length. Viewing is simple through the windscreen and we like the stainless-steel grab rail that runs the perimeter for safety grab hold. Overhead a quality stainless steel Cruise Craft targa provides plenty of shade and this can also hinge down if storage height becomes an issue. The Motor Powered by a quality V6 Mercury 150Hp Optimax DFI 2 stroke. 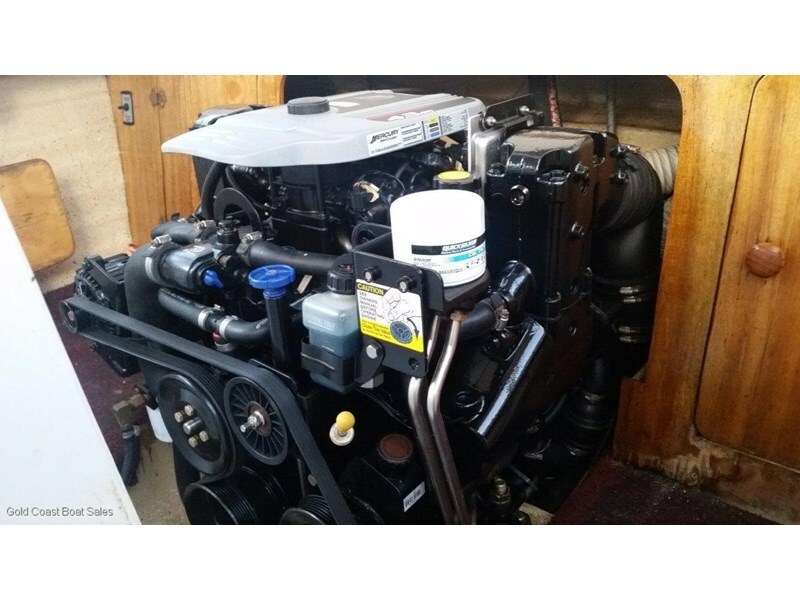 These remarkable engines have all the power on tap that 2 strokes deliver yet somehow with the DFI injection system enjoy fuel consumption not that far away from 4 stroke outboards. 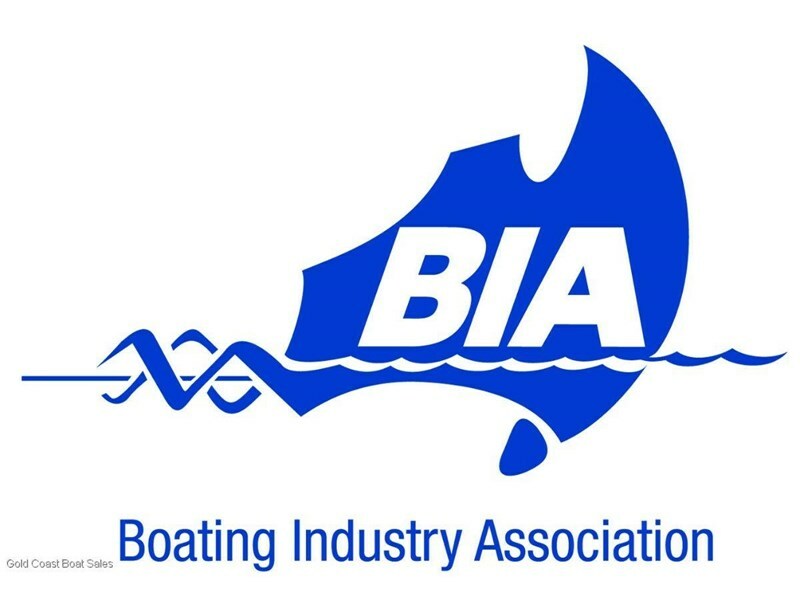 The motor was last serviced by a Brisbane authorized Mercury service center in March 2019. With only a low 361 hours recorded and being backed further with a limited BIA engine warranty, buyers confidence is assured. Accessories and features include: Lowrance HDS5X colour sounder Navman Tracker 550 colour GPS with map card GME G.Com VHF radio with aerial GME GD9600 stereo system with MP3 GME MT600G EPIRB exp. 08.2027 Dual battery system w. isolation switch in a battery box Underfloor fuel tank approx. 195L capacity Vengeance S/S 3 blade propeller Factory fitted flush system Smart craft digital gauges S/S Targa with bimini canopy, front & side clears, side curtains and sliding extension 1 seat mounted on storage boxes, 1 pedestal seat Upholstered bunk cushions Portable chemical toilet Large plumbed live bait tank Bait board including rod holders Underfloor kill tank Hand held shower incl. pump & 40L fresh water bladder Cabin/cockpit lights, cabin privacy screen (removable) Floor scuppers Walk through transom and transom door S/S 2 step boarding ladder & a boarding platform Ice box, side pockets, glove box Windscreen grab rail, S/S bow & side rails Underfloor storage Hydrostar electrically activated hydraulic 4-wheel disc brakes on the trailer Alloy wheels, bearing buddies On the Trailer The trailer was upgraded in May 2016 to this quality Redco Sportsman RE190 multi roller trailer that simply marries to the hull like a glove. The 625 comes in at around 2.2t fueled up, hence the trailer is fitted 4-wheel electric/hydraulic braking system. The numerous multi rollers in turn making launching and retrieving a simple affair and for those with a little nowce, drive on and off could be done. Like all trailers sold through JCM they are workshop backed so you can be reassured when you tow away the brakes/lights/bearings/tie down are all tuned/fitted and adjusted. 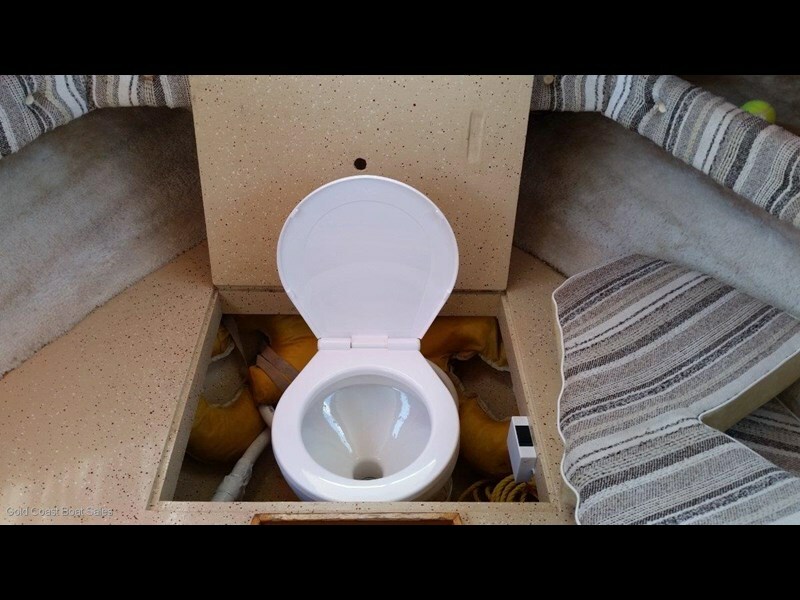 This is a beautiful one owner package that will delight the next family looking for a genuine, non-fished, non-abused premium Australian made hull fitted out to a very high standard. Dont delay as Cruizzys like this are very hard to source on the used market.